SilverQuest has industry expertise in the following areas—healthcare, higher education, manufacturing, financial services, non-profit, and small business. We bring a broad-based perspective, cutting edge research, and innovative business models to match your specific needs and requirements. 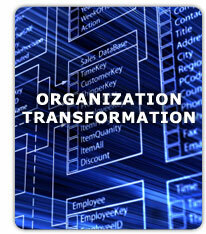 SilverQuest has functional expertise in Strategic Creation, Organization Transformation, and Workforce Development. Select one of the three categories at the bottom of the page for a complete list of specific services in that area. Who will provide the consulting services? 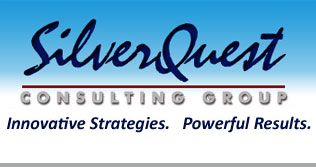 Donald McLachlan, CEO and President of SilverQuest Consulting Group LLC, will provide the services. What type of consulting services will you provide? After the consultation Donald will provide you with a brief report that organizes and analyzes the Senior Leadership Team input. What is the consulting engagement like? It is highly interactive with lots of input from your Senior Leadership Team. Typically, I have a brief PowerPoint, maybe a handout or two, and utilize a marker board and/or flipcharts. It is also enjoyable as I include some humor and stories. One of the overall goals of the session is to create positive momentum for your Senior Leadership Team. When will you provide the consulting services? 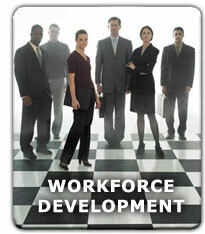 Donald McLachlan will work with your Senior Leadership Team to schedule an appropriate time. The three hour session can occur in the morning, afternoon, and possibly even the weekend. Generally, Donald is available to schedule a time within three weeks of a request. 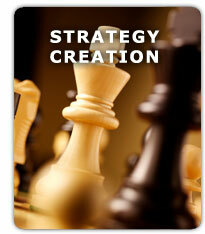 Where will you provide the consulting services? Donald McLachlan will travel to your location anywhere in the world. How much will it cost for this consultation? The consulting services are free. I only ask that you pay travel expenses to your location. If your business is located within 120 miles radius of Austin, Texas I will drive to your location for mileage only (current IRS rate). If you are located 120-200 miles radius of Austin, I require mileage plus one night's stay at a moderately priced hotel (Hampton Inn, for example). If you are located over 200 miles beyond Austin, I require airline fare (coach class), two nights at a moderately priced hotel, and a rental car (full-size), and meals reimbursement (not to exceed $50/day). If you are located outside the USA, I require airline fare, three nights at a moderately priced hotel, a rental car, and meals reimbursement (not to exceed $60 USD/day). Why are you making this offer? Professional Consulting is highly relational and usually quite personal in nature. It is absolutely essential that the client like me, trust me, and have total confidence in me before engaging my services. I believe strongly that meeting in person with potential clients creates a fast track for all three of these client outcomes. The client can see me in action, get to know me, and have total freedom to explore a relationship with me without any obligation. It lowers the risk for the client and gives me an opportunity to show the client firsthand what I can do. I am ready to set up a consultation. What do I do next? Click here to go to the Contact Page. There you will see several options for contacting me, Donald McLachlan.